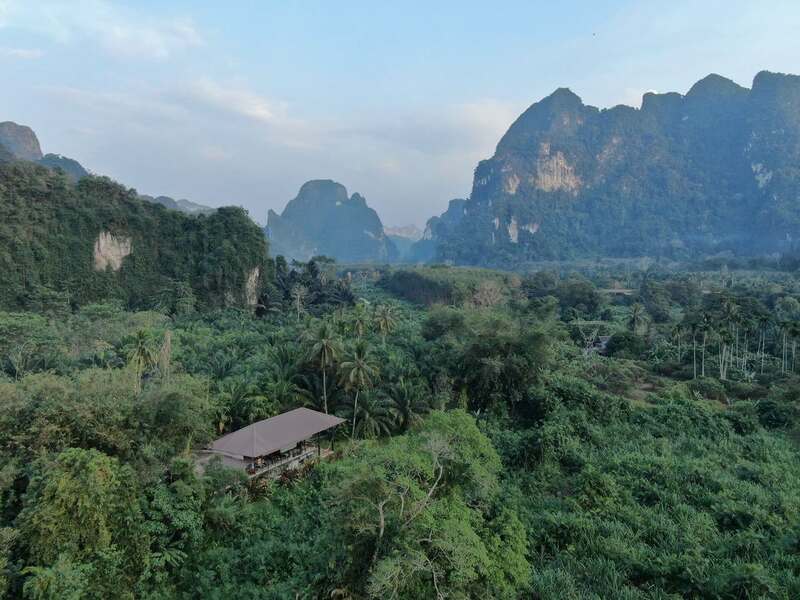 Despite being the largest and remotest area of virgin forest in southern Thailand, the rolling jungle and limestone karst topography of Khao Sok National Park, covering an area of 739 km², is amazingly easy to get to from a number of different destinations. The national park’s headquarters and official entrance is located in Khlong Sok village, just over 100 km west of Surat Thani International Airport – a journey which takes only 1.5 hours by car. This makes it an easy trip if you’re flying from Bangkok to Surat Thani. What’s more, the drive to the park takes you through some fantastically green rural countryside, surrounded by awe-inspiring limestone peaks. If you’re heading south to spend some time on a beach before venturing to Khao Sok, then it’s easy to get to the park from most places, including Krabi and Phuket – Thailand’s most popular west coast destinations. Both have international airports, and along with Surat Thani, the three rank among the busiest in Southern Thailand – served by frequent flights from Bangkok, Singapore and Kuala Lumpur, among others. As a result, there are plenty of transport options for visitors to get to the park. For visitors coming directly from Krabi or Phuket airports – or from Surat Thani for that matter – then you can expect to pay between 2,500 to 3,500 baht (US$79 to $110) for a private transfer, but for cheaper options, head into town to the bus station, where you will find local buses for a fraction of the price. You might not be traveling in VIP style, or get there quite as fast, but the journey will provide you with some interesting insight into the southern lifestyle. To get to Khao Sok by regular bus from Surat Thani, you will have to catch a bus going to Takua Pa town just west of Khao Sok, which makes a stop in Khlong Sok village on the way. In many parts of Thailand minibuses (minivans), run by private companies also offer bus services, so in tourist destinations you won’t have any problem finding transport. Minibuses are usually about twice the price of regular buses, but you will get to your destination quicker as they make fewer stops en route. However, minivans don’t always drop you in central locations and in Khlong Sok village, they pull off on either side of Highway 401, about 2km from the park’s headquarters. As a result, you’ll need to take a local songteaw taxi to the park’s entrance, or you can easily walk it. Hourly buses also run between Phuket and Surat Thani from 8.00 am to 4.00 pm, with a stop at Khlong Sok village, and there are minibuses looping every two hours between Khao Lak, Phang Nga and Krabi town that pass through Khlong Sok village during the day. You can also opt for a direct minibus from Krabi town to Khlong Sok, leaving at 8.00 am. It’s faster than going via Khao Lak and Phang Nga, and the windy route up into the hills takes you through some beautiful countryside. If you’re prone to car sickness though, it’s probably not the best option. At Anurak Community Lodge, which lies only 20 km east of Khlong Sok village, just off Highway 401, we are always happy to help with arranging transport when you come to stay with us at our eco-lodge. 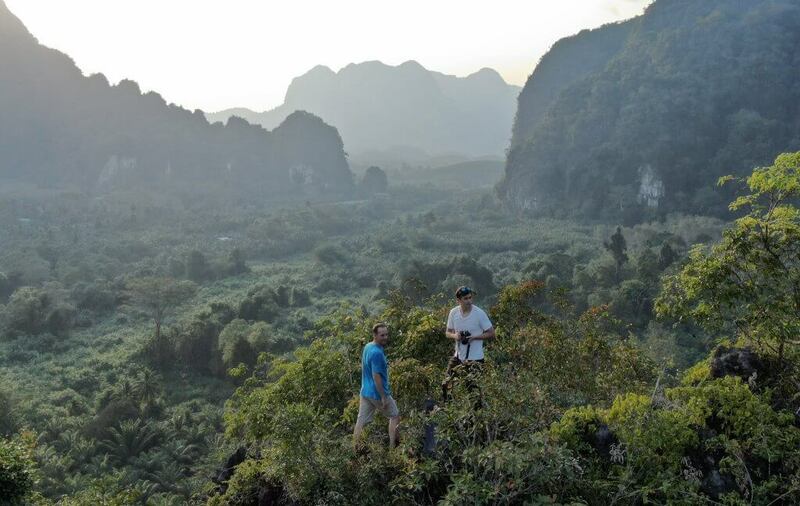 Located on the boundary of Khao Sok, we are in a wonderful rural valley, surrounded by the park’s mountains. Positioned on six-hectares of land, Anurak is set apart from other hotels and resorts in a tranquil, peaceful setting. 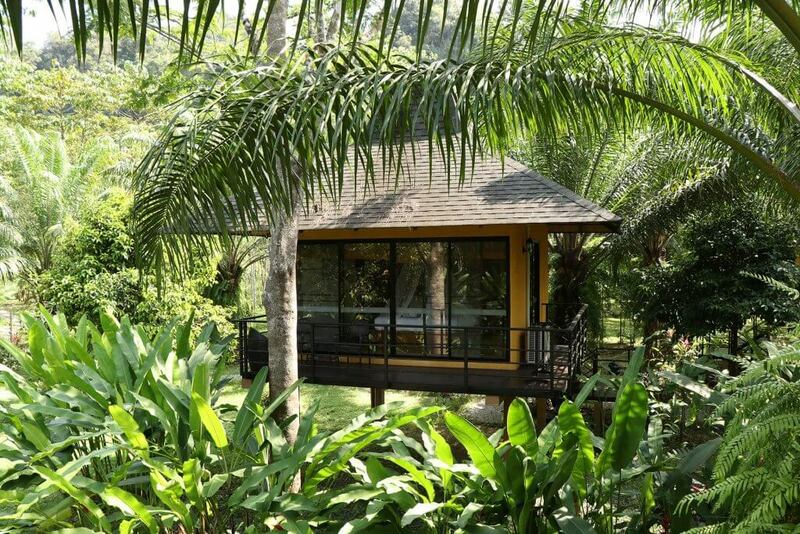 Our 12 comfortable 3-star air conditioned bungalows with a combined 18 rooms are surrounded by lush green gardens that were once a part of an old palm oil plantation. This has ensured that no damage or clearance of indigenous forest was carried out to build our eco-lodge. 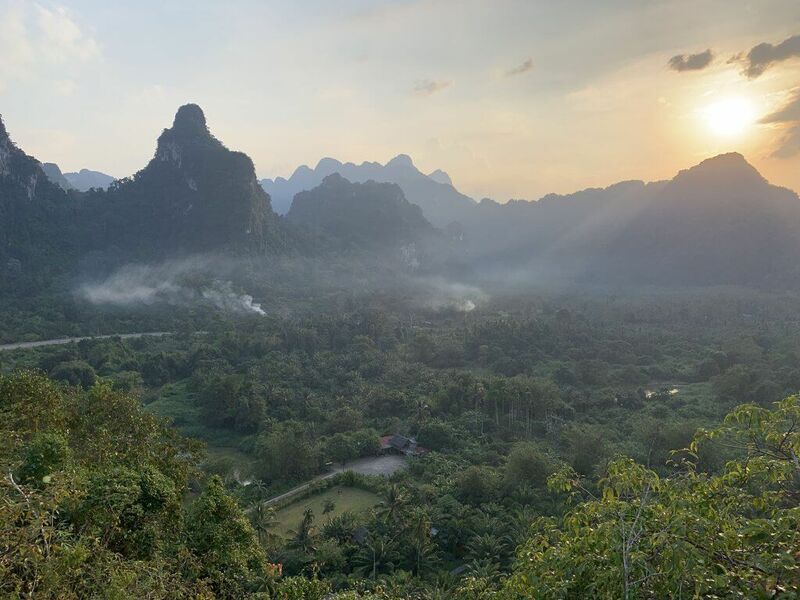 If you are traveling to southern Thailand and have not yet arranged a visit to Khao Sok National Park, book your stay with us at Anurak Community Lodge and discover the amazing scenery and wildlife the park has to offer. You can find out all about Anurak’s eco-outdoor activities and getaway packages here.